Saturday, May 3rd we got together for a meeting with our chapter members at our fabulous Morean Arts Center jewelry studio! The Morean has some great offerings this Summer including a 5-day program taught by Tom McCarthy on jewelry design and a couple of on-going classes for the Summer sessions. Check out their website for more information. (Morean Arts Center). 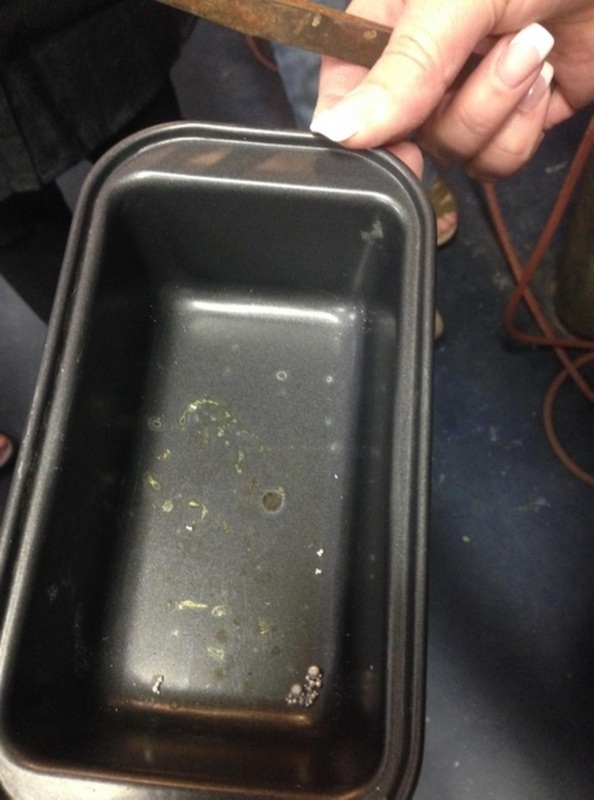 A short demo was given by Stacy Perry on the Sandkuhler Splash method of granulating silver. 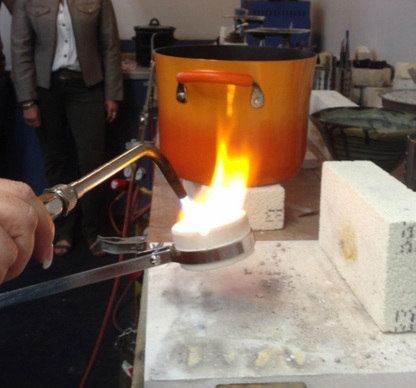 This is a very quick and easy method (once your crucible heats up!) of making hundreds of silver balls of different sizes for traditional fusing or to embellish your jewelry designs. Using a diamond melee sieve makes quick work of sorting the balls into different millimeter sizes. 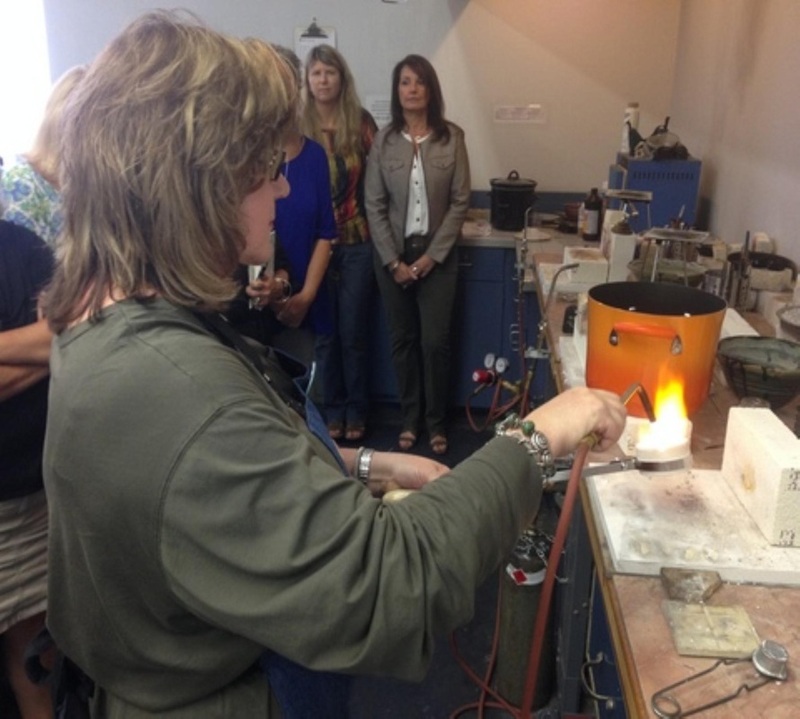 Stacy also demonstrated how to create perfectly smooth balls from Sterling silver and how to prepare your crucible for melting metal. We had a couple of visitors from our newly formed Miami chapter and a few members-at-large too. 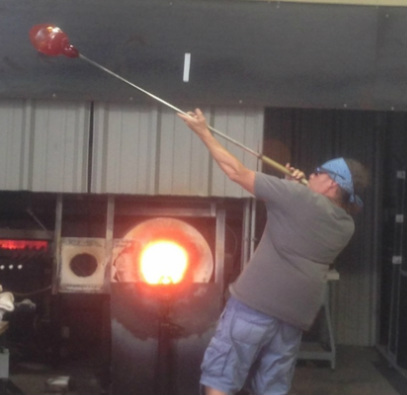 The Morean then kindly treated all those attending to a glass-blowing demo at their Hot Shop studio right next door! 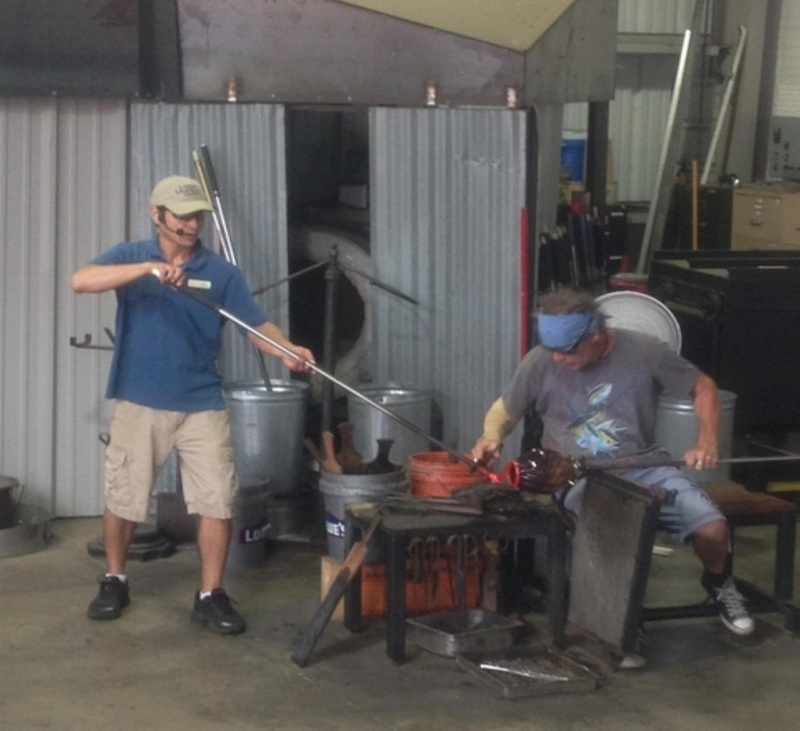 Pauli Maiville is the glass blower in the left photo and his assistant and narrator is David Spurgeon (right photo). Thanks everyone for coming out on a rainy day to rub elbows with your fellow jewelry-making enthusiasts! We are looking forward to our next get-together around the end of July. Jack Berry will be be sharing some tips and techniques on fan folds using a metal corrugator. And yes, of course we plan on offering his workshop on fan-forming soon! Keep an eye out for updates as you won't want to miss out learning about this fun technique! We love to hear from our members! Have any cool bench tricks or jewelry making techniques you would like to share? Please get in touch with us and your idea may be featured in an upcoming newsletter or future member meeting!